Young voters are now the largest voting block in the nation and MontPIRG is dedicated to making sure their voice is heard. For over 35 years, MontPIRG has worked to register young voters and get their ballots cast by making. Our goal is making voting more open and accessible to all Montanans because we know our democracy is strongest when everyone participates. We know that engaging voters early will make them long-term participants in our democracy. That's why this work is so critical. We need to modernize voter registration so that all Montanans all Montanans can easily get access to our democracy. Our government has a responsibility to ensure that no eligible Montanan is prevented from voting due to errors or complex voter registration systems. Montana’s voter registration and voting systems need to be free of unnecessary barriers, encourage all eligible Montanans to vote, and protect voting rights. After years of working to establish same day voter registration, MontPIRG and other voting rights advocates were able to get the Montana Legislature to pass a same day voter registration bill in 2005. The law now allows for voter registration up to and including Election Day. Since then, we have shown up in force to pass online voter registration and automatic voter registration. Montana must not be left in the dust while other states make voting accessible for everyone in their states. 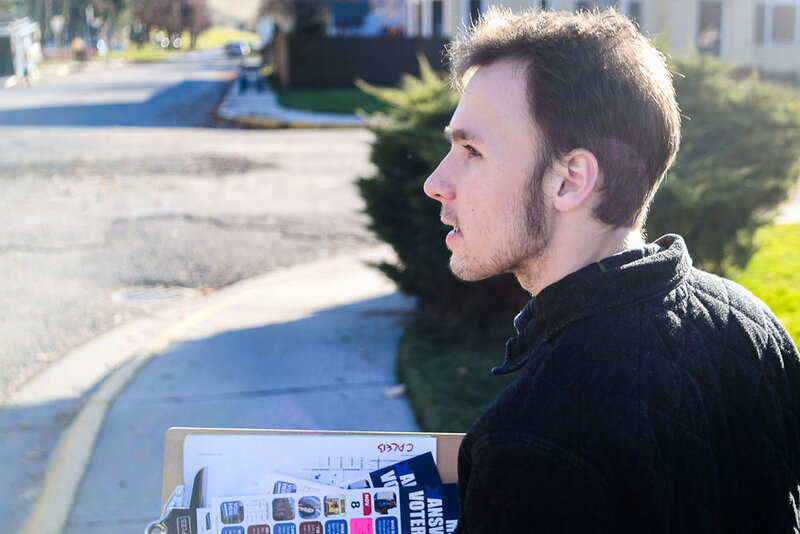 In 2016, MontPIRG's knocked over 23,000 doors, registered over 3,500 voters, distributed 3,000 voter guides, and made over 10,000 calls to voters for its Youth 12K campaign. The tireless efforts of the MontPIRG team during this campaign resulted in voter turnout amongst the young voters in Missoula county to increase by 7.4%, making young voters 19.2% of all votes cast in Missoula County. Because of MontPIRG, 1 in every 5 voters in Missoula county was a young voter.